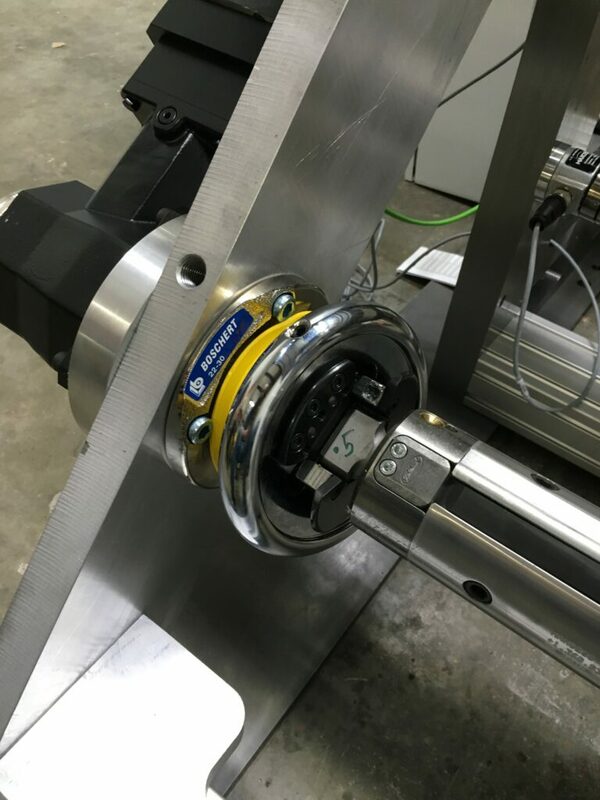 We offer a wide variety of unwind and rewinders with many options: servo driven, slitters, cantilevered, shaftless, surface, auto lap splicers, turret rewinds, integrated accumulators, and slit stations. Digital Dancer and/or load cells for accurate tension control on paper, film, and foil. Dancer tension adjustment stored on the touch screen. 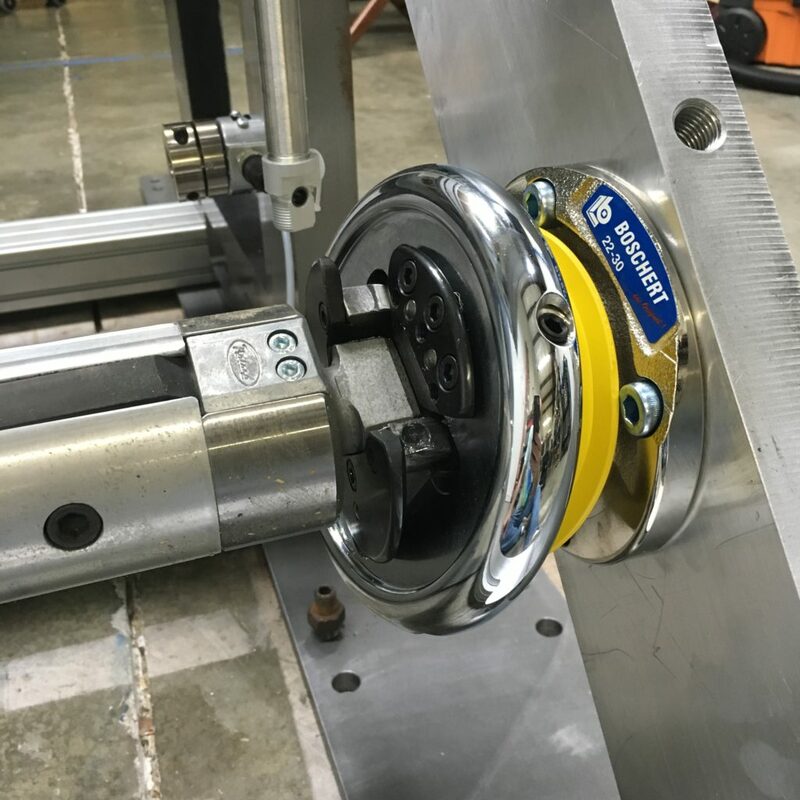 A rewind pressure roller will guide the web to the roll and apply pressure to remove trapped air and build a proper rewound roll. The arm pressure is touch screen controlled and automatically adjusted based on the taper tension settings. 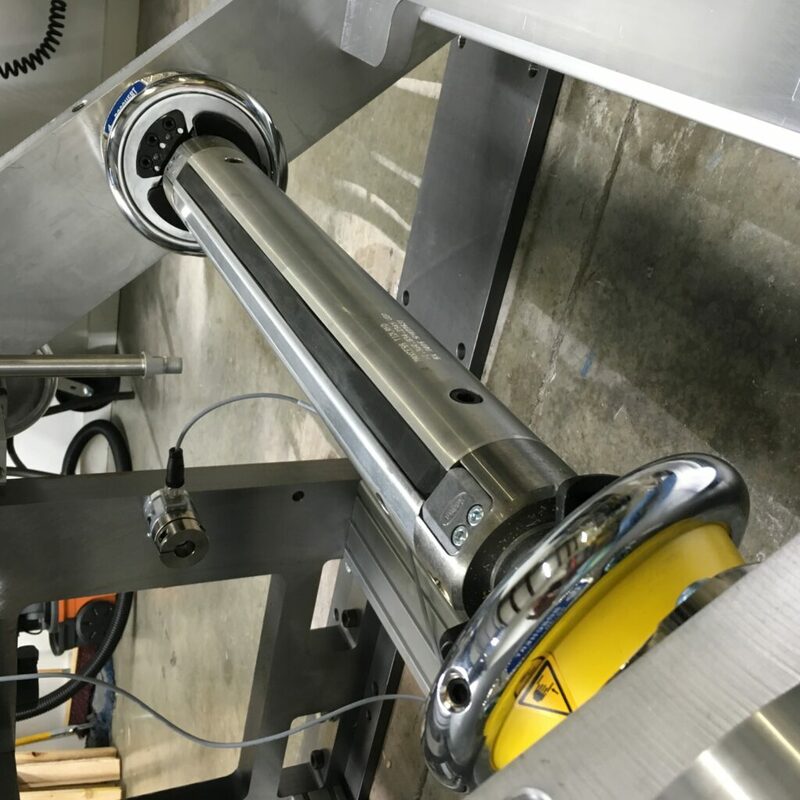 Taper tension pressure and rate are set in the touch screen and automatically adjusts the pressure roller and the tension to build the highest quality roll for a given substrate. Automatic roll stops on diameter or foot count are standard. Boschert Safety chucks are standard in many of our winders. Servo, spindle, vector motors for both unwind and rewind application. We can design a winder to fit most any application. The line includes a main control console to house the controller, servo drives and general I/O components. A gear side wire tray will run from the unwind to the rewind above floor height. 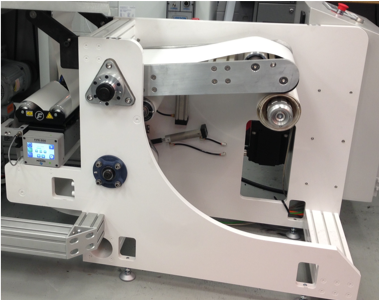 The servo controller is oversized sized to coordinate multiple winders, 6 printing stations, multiple screens and still have the capacity to grow. Remote maintenance is possible by adding the machine to anInternet-enabled network. The base winders are simple stripped-down winder sets with optional roll lifts, load cell or dancer tension control. Servo rewind can lead with a speed controller or follow with a dancer or load cell. Taper tension option is available. These low-cost winders are designed to run 1000 fpm. Web widths from 10” to 50” and roll diameters from 30″ to 50″.